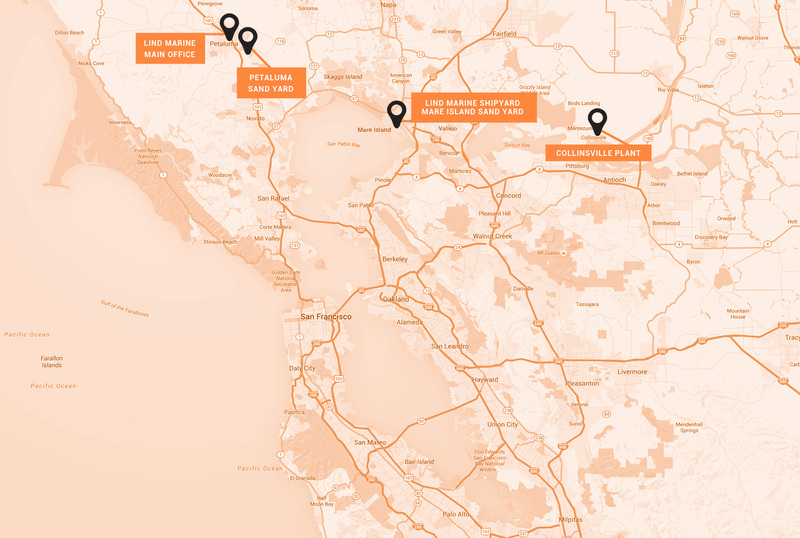 Lind Marine has proudly provided dredge, barge and tug services throughout the San Francisco Bay and Delta, and the Sacramento and San Joaquin Rivers, since 1906. 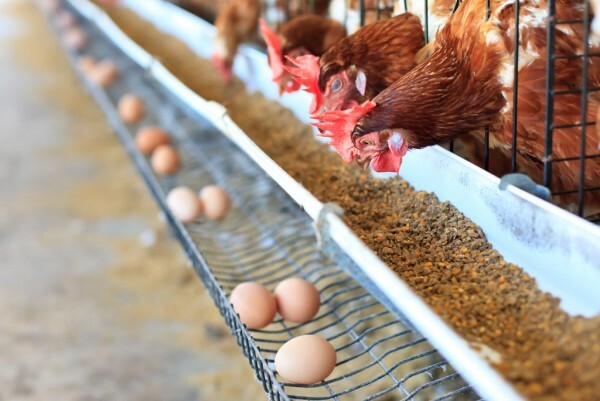 Family owned and operated, we specialize in handling and moving bulk materials, dredging projects of any size and marine environmental remediation. 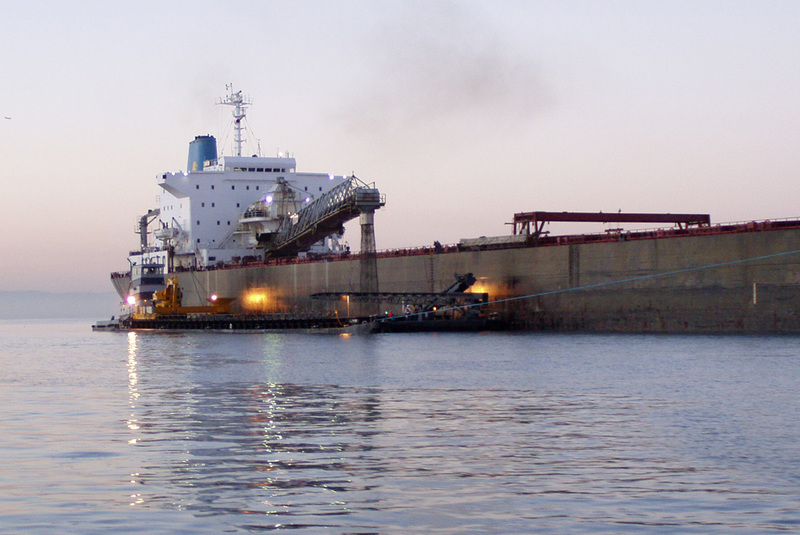 Our tugboats and barges deliver bulk products in a cost-effective and environmentally safe manner to our customers. Lind Marine Shipyard – Provides a full range of shipyard services, including ship maintenance, repairs and refits for barges, tugboats, commercial marine, fishing and recreational vessels. Salvage & Demolition Services – Expert salvage and demolition of submerged boats, ships, barges, docks, piers and other structural debris. Shipwreck salvage operations on an emergency response basis. 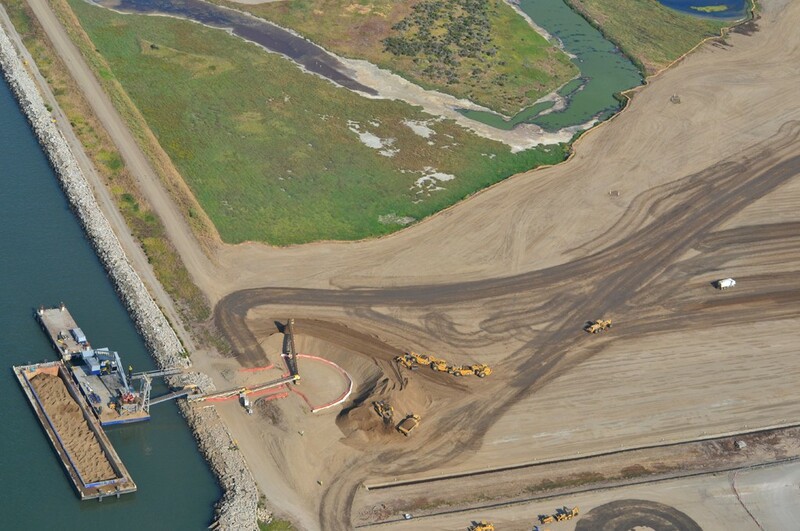 Dredging – Major new marine projects and channel maintenance. 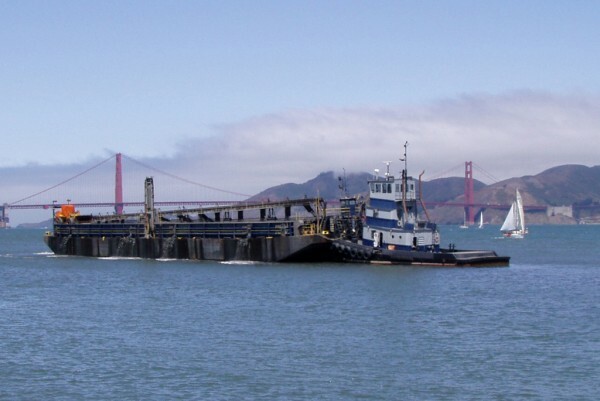 Towing and Barging – Handling and moving large structures and bulk materials, throughout the San Francisco Bay waterways. Ship Lightering – Enabling ships at anchorage to lighten their load and reduce draft. 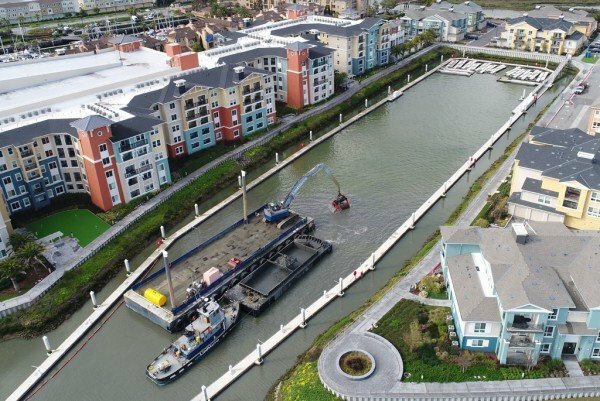 Environmental Remediation – Removing old piers, docks and sunken boats from waterways and transporting hazardous materials. 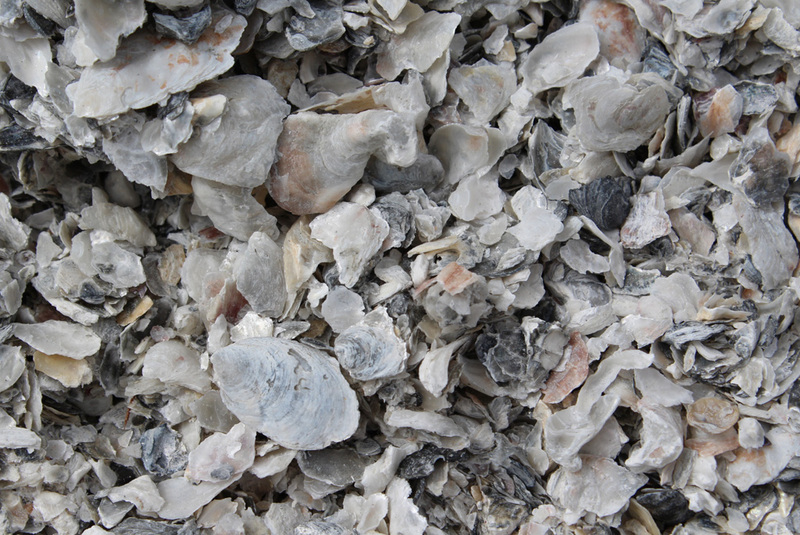 Oyster Shell – Mining, processing and shipping for ag lime and chicken and livestock calcium. 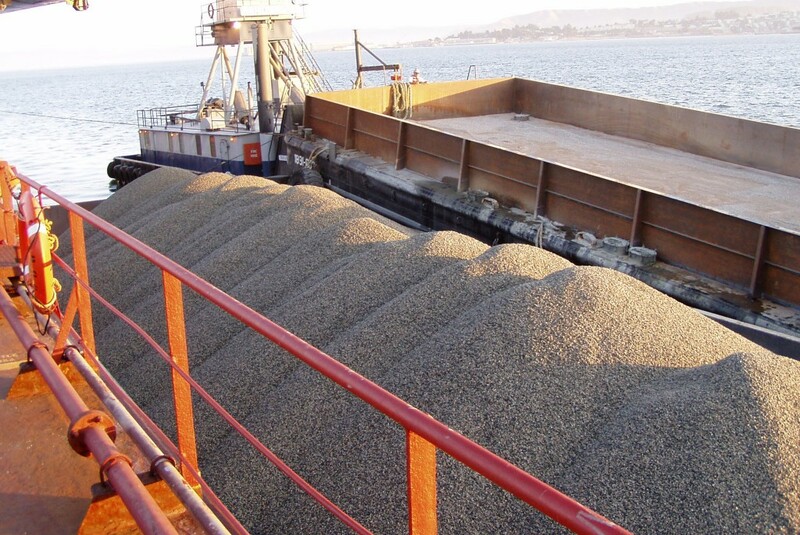 Sand and Gravel – Mining, processing and shipping. 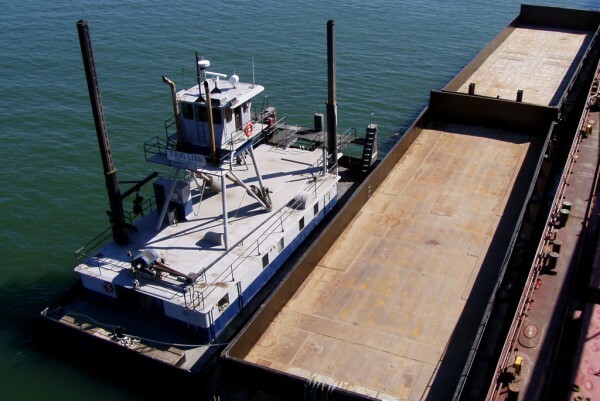 Our fleet includes over 25 barges and 6 tugboats. The barge Peter Lind is the largest bulk materials barge on the West Coast. 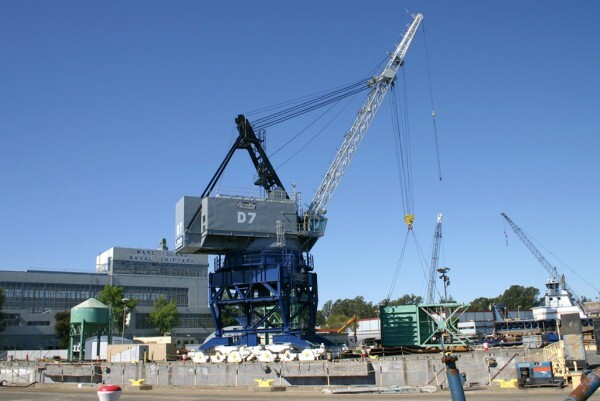 Our smaller barges and custom offloading capabilities enable us to serve shallow and hard to reach ports, docks and terminals. 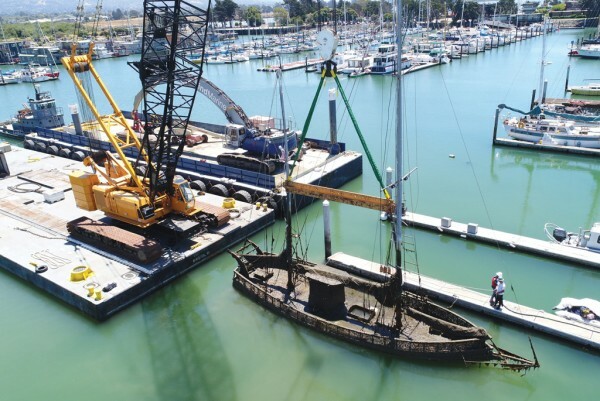 The State of California, Army Corp of Engineers, and private enterprises have utilized our Marine environmental remediation services to remove old piers, docks and sunken boats from San Francisco Bay, as well as transport a variety of hazardous materials.